Reports are mounting of atrocities committed by the self-styled Islamic State against civilians and former members of the Iraqi police and army. In the villages of al-Hudd and al-Lazzaga, militants from ISIL – also called Daesh – rounded up hostages after people rebelled against them to aid the army’s advance. More than 20 were put to death, according to an influential Kurdish politician. Hoshiyar Zebari told Reuters in Erbil that the executions were carried out as punishment. His claims were corroborated by local residents. “The civilians, they make revolution then, they killed from Daesh, approximately from seven to nine, from Daesh,” Sabry Abdullah told Sky News. Officials in the region say dozens of people have been executed by ISIL who took them prisoner as they were forced to abandon villages in the wake of the Iraqi army advance. Zebari, a former Iraqi finance and foreign minister, said at least 65 people were put to death south of Mosul earlier this week. UN human rights spokesman Rupert Colville said on Tuesday that ISIL fighters had reported killed scores of people in the last week. 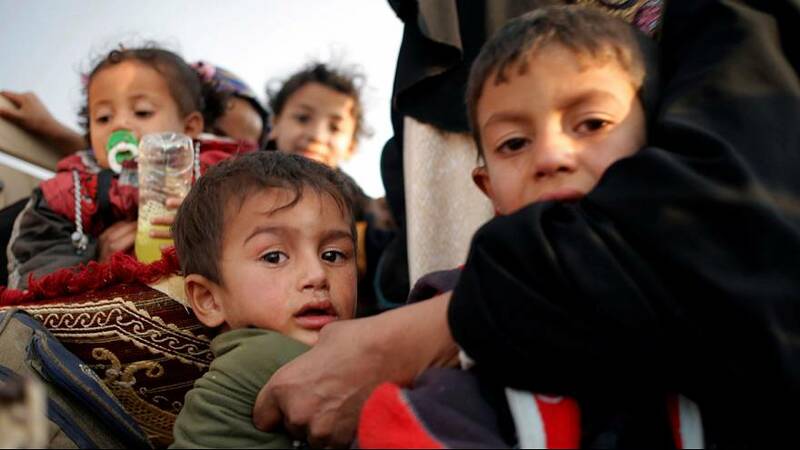 Local residents have been fleeing Bashiqa – a key town on the crucial supply route to Mosul. It has been besieged by Kurdish forces taking part in the offensive to recapture Iraqi’s second city, and ISIL’s last major stronghold in the country.